Please visit our local businesses. Art gallery dealing in Inuit sculpture and prints from the northeastern Arctic. Red, White, and Russet Potatoes; Square & Round Bale Hay; Straw; Barley; Snowplowing; Bushhogging; Rototilling; custom work. Stable Connections is dedicated to providing mental health, personal growth and educational services for people by offering a variety of programs to create positive change for children, adolescents and adults. Equine Assisted Psychotherapy, Equine Assisted Learning, Professional Education are the core programs at Stable Connections but we do also offer Therapeutic and Traditional Riding lessons for beginners to advance riders. Our facilitating team include licensed therapists, equine specialists,experts in horse behavior. This team approach allows us to provide the highest quality services for our clients. 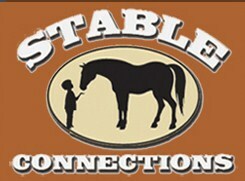 The Staff at Stable Connections are certified by EAGALA, the Equine Assisted Growth and Learning Association and the only certified program in Vermont/New Hampshire. Essex County's new law office! If you've been charged with a crime, been injured, are facing a divorce or child custody issue, need a will or other estate planning services, or are a town in need of a good municipal attorney, contact me! Laura Wilson is an attorney with a focus in criminal defense, municipal law, personal injury, civil rights litigation, and immigration law. She can help you manage the business of your life. Ms. Wilson graduated from Yale University, completed Vermont's four-year law clerkship, and is a former criminal defense law clerk and Vermont Town Clerk and Treasurer. For a free consultation with Attorney Wilson, call 1-802- 676-3300. Ms. Wilson's office is located in the historic district of Guildhall Village, at 91 Courthouse Drive. Ms. Wilson has joined with real estate attorney Tiffany Young to form Young & Wilson, in Lyndonville. Contact information remains the same and we continue to maintain our Guildhall office for the convenience of Essex County clients.